BSNL has announced the revision in free data usage with its existing unlimited plans and STVs with effect from 18th June 2018 on wards. 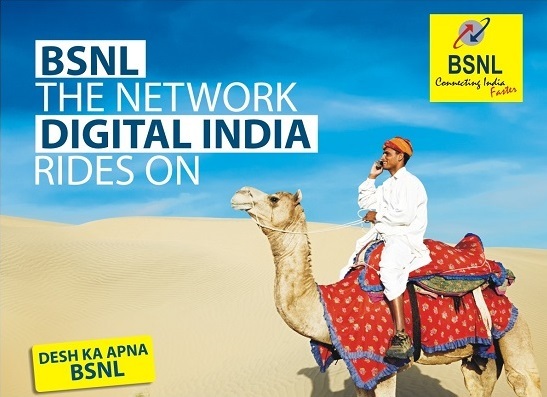 As per the latest information, BSNL will be offering free data - 2GB/Day - in existing unlimited plan vouchers (Rs.186, 429, 485, 666 & 999) & unlimited data STVs (Rs.187, 333, 349, 444 & 448). This additional free data offer will be available for a promotional period of 60 days from 18-06-2018 in all telecom circles. The free 'data per day' is to be incremented by '2 GB/day' for Unlimited Plan Vouchers i.e. Rs.186, 429, 485, 666 and 999 for a promotional period of 60 days. The free 'data per day' is to be incremented by '2 GB/day' for unlimited data STVs of Rs.187, 333, 349, 444 and 448 for a promotional period of 60 days. The above tariff to be implemented with effect from 18-06-2018. The above tariff will be applicable for new & existing customers for the promotional period of 60 days. All other terms and conditions will remain same. The implementation of the tariff is to be made in accordance with 43rd Amendment of Telecom Tariff Order and orders/guidelines/clarifications issued by TRAI from time to time.